Johnson Ave looks like many other thoroughfares in Cedar Rapids with a mix of residential and retail properties along it’s three mile stretch. It is home to one of the largest Hy-Vee food stores in the city, two drug stores, medical offices, small bars and eateries, auto service centers, car washes, gas stations, a Dairy Queen store and at least five insurance agencies. The diverse residential area includes many well-kept owner-occupied homes, apartments buildings, assisted care and aging mobile homes. Driving down this humble stretch of road today, most people would be surprised to learn that it was once part of one of the nation’s first transcontinental highways. Dedicated in 1913, the Lincoln Highway ran more than 3,000 miles from Times Square in New York City to Lincoln Park in San Francisco. 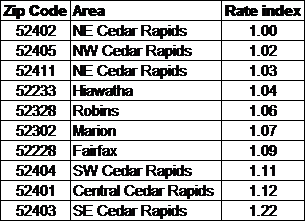 Where are the best Auto Insurance rates in Cedar Rapids? Everyone knows that car insurance rates can vary by driver and vehicle as well as risk factors like driving record, vehicle use and mileage. 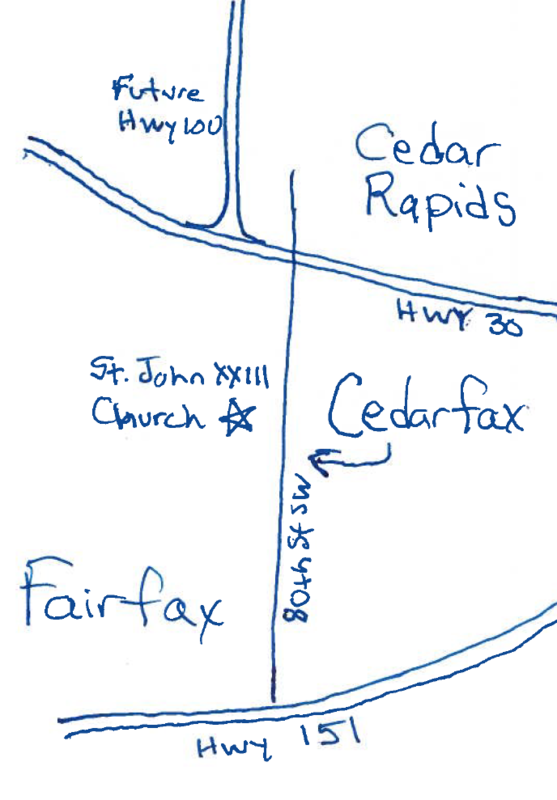 But did you know that you can pay different rates depending on what part of Cedar Rapids you live? Note: an index of 1.02 means this zip code is 2% more than the 52402 zip. This example was checked on Progressive. Each carrier sets their rating factors with approval from the Iowa Insurance Division who regulates insurance rates in the state of Iowa. Therefore, it’s important to note other carriers will not have the same rate differentials for the same zip codes. In this example, the driver would pay $231 more in the SE Cedar Rapids zip code versus the NE zip code. I would’ve expected a large rate differential when moving to another state, as Iowa on average has some of the lowest auto insurance rates in the nation. Why do auto insurance rates vary by location? Insurers keep claims data by zip code. Those areas with higher rates of losses (insurance claims) will pay more than those with lower rates of loss. A higher number of accidents can lead to increased liability and collision coverage rates. Similarly, more losses from storms, deer strikes, vandalism or theft can lead to paying higher premiums for comprehensive coverage. For example Oklahoma has more severe wind and hail storms than Iowa does. Therefore you’ll pay more there for comprehensive coverage, which covers such loses, than in Iowa due to the increased risk. It surprised me how much just moving across town, or in some cases just across the street, can affect your auto premiums!